Are there certain vegetables and/or fruits that you like cooked, but not raw? Or, enjoy raw but not cooked? Maybe I am the only one. There are certain vegetables I will eat raw but just prefer cooked, including carrots. Carrots are ok raw, but I LOVE them cooked. Same with celery. 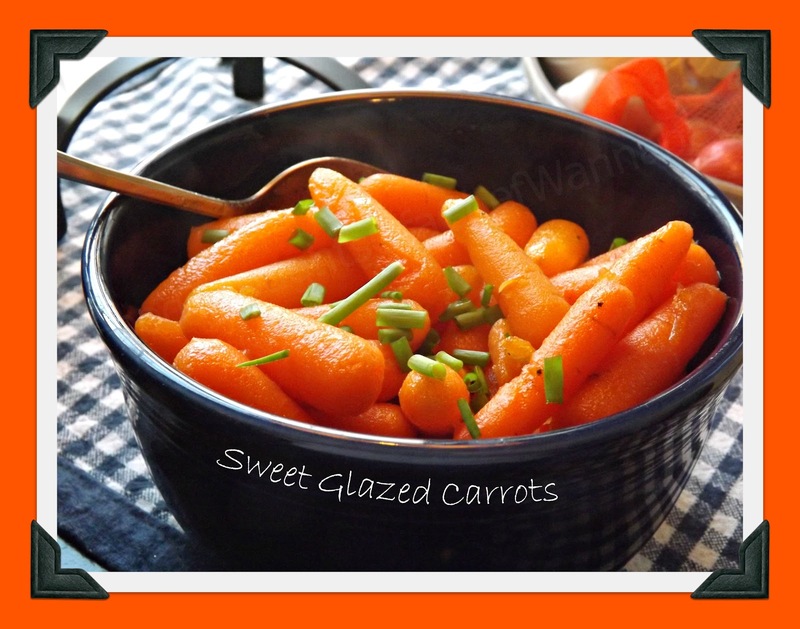 Now if you go glazing things up with some goodness, carrots get even BETTER! These are just an easy side dish I have been making for a long time. I use them mostly for holidays or special occassions but who says you can't have them more often than that? I mean, if anyone can take beautiful, healthful carrots and make them bad for you, I can. We established that long ago. Hey, I am not necessarily proud, but in this case, I am dang thankful! I was sure if I slathered some veggies up in sweetness and butter I could get hubs to eat them. No go. He declines them, with the most refined manners, every, single, time. Secretly I am glad, because it means more for me. So although these are a very easy side dish, I decided to share them anyway, we are all at different cooking levels and I think that anything that is this good, and this easy, should be a staple in your recipe collection! These carrots are steamed or boiled to perfection, not mushy, not crunchy but tender on the outside with a WEE bite on the inside. Then glazed with fabulous, simple ingredients that will make your company think you are a master in the kitchen! I always top mine with a little chopped green onion! Enjoy these little bites of sweet goodness, and make sure to make extra, trust me, you will need them!!! Hi Chris! Thank you for joining us last week for Our Little family Adventure's Friday Facebook Community Link Party. You have a great site and we'd love you to join us today and every Friday for the event. Please stop by www.facebook.com/OurLittleFamilyAdventure and post one of your recipes, stories, etc. I absolutely love glazed carrots!! Awesome recipe!